Tamarind Group chief executive Jonathan Seex is among 157 people killed in the ill-fated Ethiopian Airlines crash on Sunday. "It is with immense shock and grief to inform you of the tragic news that Tamarind CEO Jonathan Seex was on the ill-fated Ethiopian Airlines flight. Our thoughts and prayers are with his family, friends, the Tamarind community and all the others who have suffered unfathomable losses," said Tamarind Tree Hotel in Nairobi said on their Facebook page. The Tamarind Group operates a string of high-end hotels in Kenya, including Tamarind Tree Hotel in Nairobi and Mombasa, the Carnivore, Tamambo Village Market and Tamambo Karen Bixen Coffee Garden. 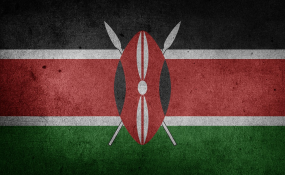 Kenya was the most hit by the plane crash with 32 Kenyans confirmed dead. Among those identified is the plane's pilot, an Ethiopian-born Kenyan Yared Muguleta.